Today’s young people, ages 16-24, have a harder time making ends meet and achieving financial milestones that were achievable by the generations that came before. Youth are less likely to utilize formal financial products, and they show signs of less financial literacy. Youth employment is intrinsically linked to the economic success of young people and our communities. On September 12th, 2018, Asset Funders Network presented the Funder Spotlight Webinar, Pathways to Progress: Empowering Youth through Integrated Job Training and Financial Capability, highlighting the Citi Foundation. 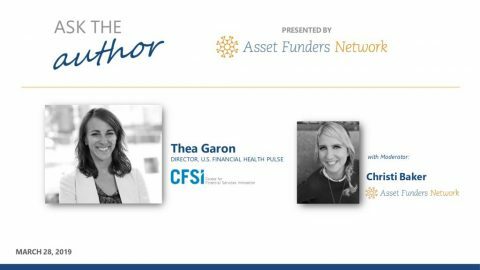 This one-hour webinar hosted a panel of experts including Daria Sheehan, Senior Program Officer at the Citi Foundation; I-Hsing Sun, Chief Financial Officer at Cities for Financial Empowerment Fund; and Melissa Grober-Morrow, Director Savings and Financial Capability at Prosperity Now. We examined how integrating job training with financial capability services may help the younger generation build a financial foundation, get ahead of financial struggles, and achieve both career success and financial security. 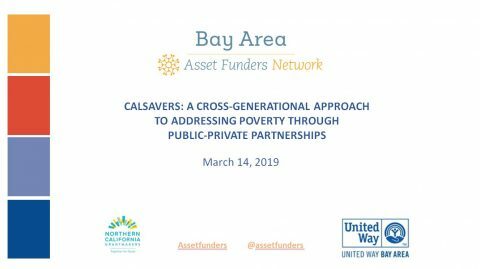 We explored how philanthropy can support the integration of financial capability services into workforce development, strategies for taking this work to scale, and opportunities for funders to support effective programs that build youth financial capability and asset building.